There's an important difference between email addresses and email accounts. 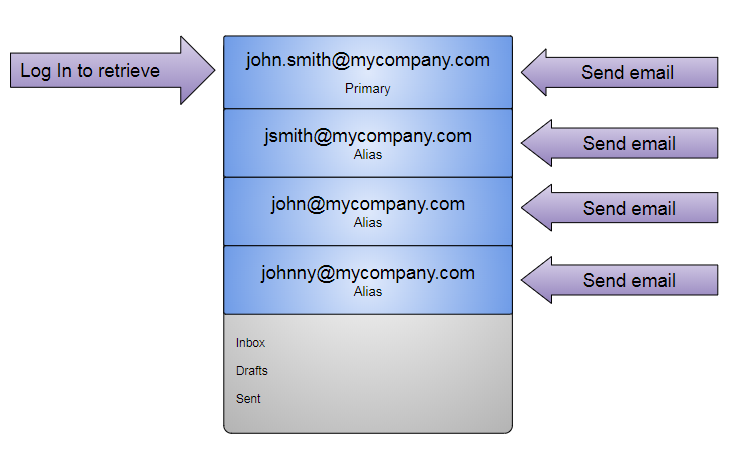 Every email account has one primary address and can have many secondary addresses. The primary address, a.k.a. account username, is the email address you use to log into your email account. This is the address you would use when setting up the access to your email account on your computer or smartphone. There can also be multiple secondary addresses, a.k.a. aliases, which are additional addresses that people can use to send you email. There can be more than one and are used for convenience for people sending you emails. While account usernames can be changed, it's often easier for you to have new email aliases added. Alias addresses can be added without affecting anything else. Account usernames can be changed, but will required making additional changes on your computers and/or smart phone. Your email administrator can help with either. Typically we suggest using the longer version for the primary account username since it's more official and secure, and then having as many aliases as you want.